As the first two men plead guilty in federal court, more charges are expected to come in the Detroit demolition proble. 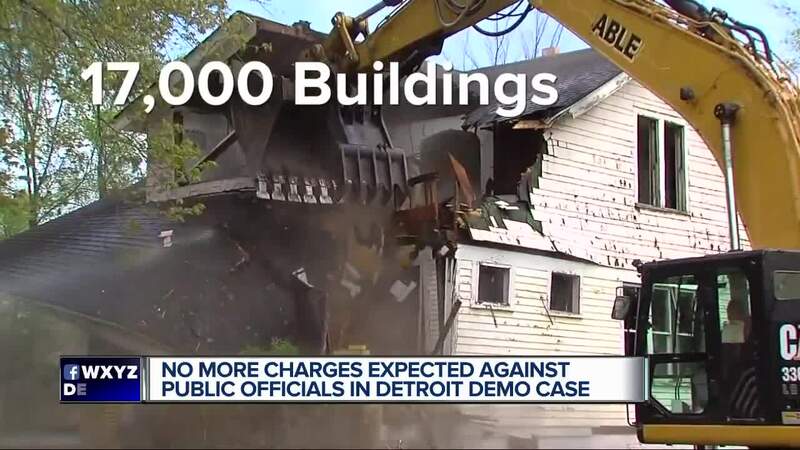 DETROIT (WXYZ) — More charges are anticipated in the federal Detroit Demolition corruption probe. Detroit Mayor Mike Duggan took a political victory lap and turned the tables in a news conference. Aradondo Haskins worked for the city for 10 months after working for a contractor, Adamo Demolition. He took a plea deal, along with Anthony Duguanno, in a bid rigging case working with Adamo and a sub-contractor. Adamo Demolition is located on 7 Mile in Detroit. The sub-contractor named in court in the corruption case by Haskins is Environmental Specialty Services located next door to Adamo. They did asbestos removal in what is described as thousands of demolitions done by Adamo in the city. We reached out to ESS and did not hear back. Mayor Duggan says the feds have provided $265 Million dollars to the city for blight and demolitions, the city has removed 17,000 buildings in five year and is half done.